It's no secret that the earlier you find a software bug the easier and cheaper it is to correct it, and an upcoming IDC report claims that fixing bugs can cost companies anywhere from $5.2 million to $22 million annually, depending on the size of the organization. Lone Ranger IBM is riding to the rescue with a new application that catches bugs and other defects at the coding stage, rather than in testing or, in a weak-case scenario ... in the field. The latest IBM Rational Software Analyzer, announced today, works sort of like a grammar checker for word processing, scanning software for quality and defects before the application is built. IBM says it can reduce errors in the field by 15 to 20 percent. Whoo-hoo! Catching bugs earlier in the process speeds up time to market by reducing the amount of time development teams spend on manual testing and the effort of fixing bugs at the error-prone testing stage, when 90 percent of the code has already been written. Makes Monday mornings a lot nicer, too. Built as a plug-in for Eclipse version 3.3, the software analyzer finds software errors, flags them, and makes suggestions for fixing them. The software can automatically scan each line of code up to 700 times, "grammar checking” the code before it goes into deeper testing and/or production. This approach sure makes sense for dynamic languages, too, where testing is not always, shall we say ... standard operating procedure. IBM's latest grammar jammer supports Java and C++ and "more [languages support is] available through extensions," says IBM. How about helping out the webby apps and rich Internet apps makers directly, too, eh? At least Eclipse-oriented software developers can use the new IBM software to provide insight to their management team through detailed reporting on software code status and to offer direction into governance and compliance of corporate coding guidelines and requirements. IBM partners and customers can also build an adapter to use the code-scanning technology to improve the code quality and development of their custom-built offerings. The classic reference for the cost of software bugs to industry is a 2002 report from the National Institute of Standards and Technology (NIST), which estimated that defects cost businesses $59.9 billion. With the world and business moving at "Internet speed," that six-year-old estimate may be a little low today. Companies are leaning more heavily on agility and the necessity of responding quickly to shifting competitive positions in a global economy. Other studies have indicated that the cost of fixing a bug during testing is 7 times higher than during the coding phase, and the cost of fixing it in the field is 14 times higher than during coding. Increased software complexity from multicore, Web 2.0 and SOA are said to be increasing code problems and hiking up costs for companies that develop both in-house and through third parties, such as offshore firms. 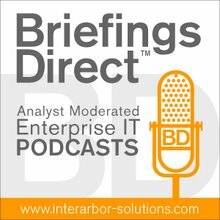 “The increased complexity of software development environments and the cost of fixing defects in the field (rather than early in the software cycle) combine in exorbitant ways to drain income and to hamstring businesses as a result of critical software downtime,” said a statement issued by IDC. IBM Rational Software Analyzer is currently available. Pricing for the Developer Edition is $3,500 per user while pricing for the Enterprise Edition is $50,000 per server with unlimited users. More information is available at the Rational Web site.